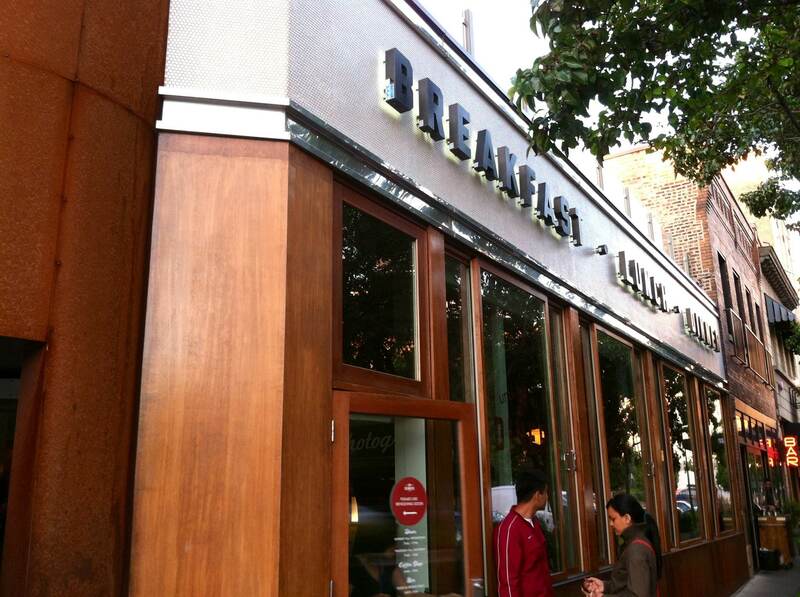 This weekend I had the pleasure of trying one of Chicago’s up-and-coming restaurants. Or, I guess I should say, her little sister. 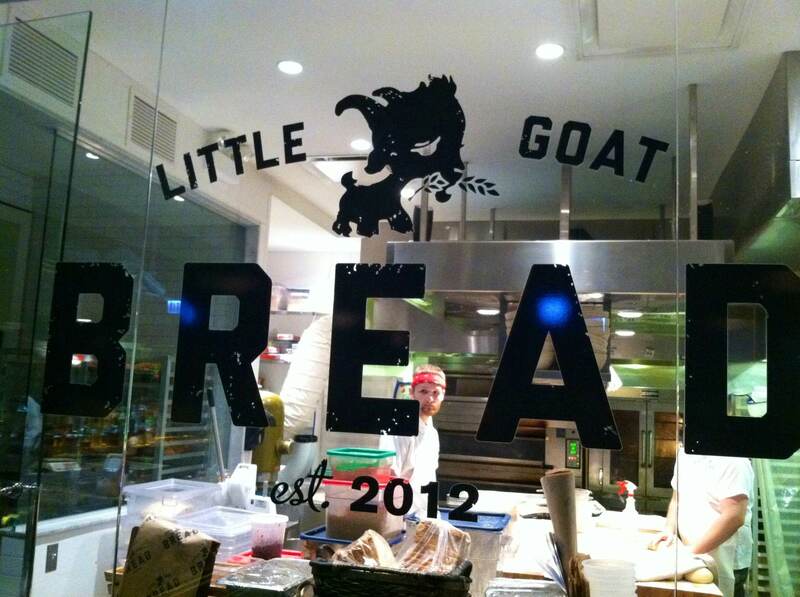 Many people have heard of “Girl and the Goat”, the restaurant that opened up a few years ago on Randolph Street by Top Chef Winner Stephanie Izard. It’s famous for its 3 month long reservation list and funky “shared plates” atmosphere, but let’s be honest: sometimes when you’re hungry you’re just not prepared for that much flair. 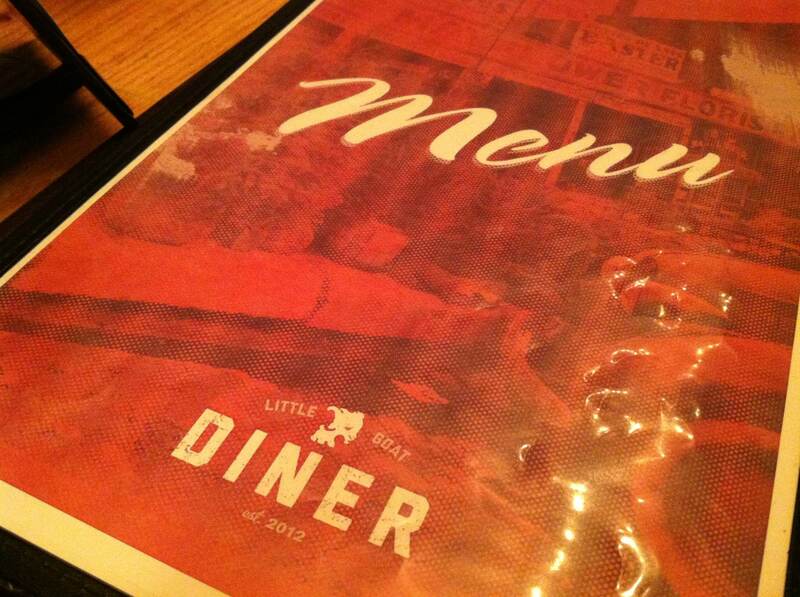 That’s where Little Goat Diner comes in. Stephanie opened Little Goat directly across the street from Girl and the Goat originally as a bakery and possibly a small breakfast joint. 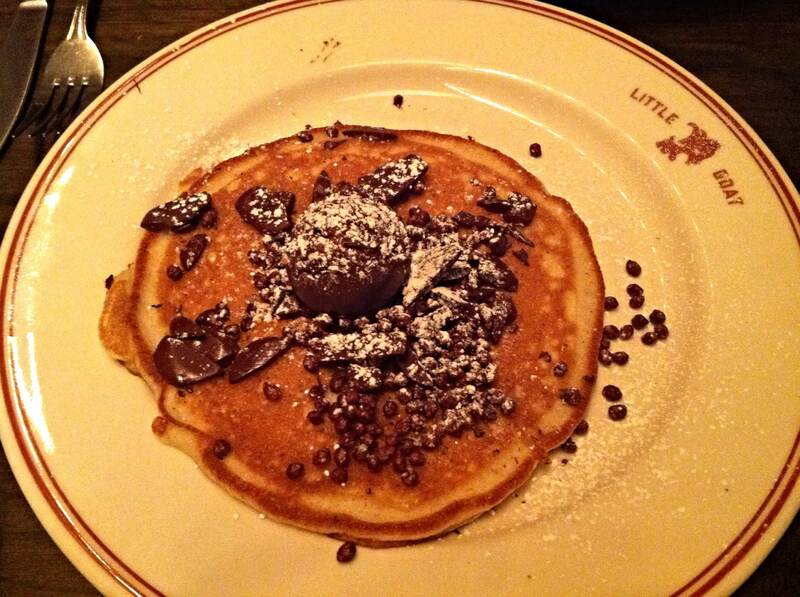 It soon turned into another huge success and expanded into the large diner that is known and loved by Chicagoans today. Z-man and I arrived around 8:30 on Sunday night hoping to score a table. We knew we would have to wait (there are always people lined along the front entrance waiting for a table) so we grabbed a menu and looked it over. This place has everything! From cheap diner eats to comfort food and everything in between, picking just one style of food seemed next to impossible. Even after the 30 minute wait I still had no idea what I was going to choose. Sadly I’m not a big meat eater so eating goat was out of the question. And as I’ve said before, Z-man is the plainest eater on earth. But regardless of our preferences, we found so many things we wanted to try. The things that stood out to me were their cream cheese crab dip, Fat Elvis pancakes (smothered in peanut butter butter, bananas, and bacon syrup), the pork and toffee crunch milkshake (yes, in the same shake), and a seafood dish called “Boo Boo Baise” (for what reason I still don’t know). This had to be the most random menu I’ve ever stumbled upon. Needless to say, we took our stomachs for a ride and chose a few dishes to sample. I was hesitant to order this (dessert before dinner is ingrained in my head as blasphemy) but I’m so glad we did. It was amazing. It was the most chocolatey thing I’ve eaten in a long time, and the texture that the little malt pieces added was such a cool addition. For our main courses we each decided to go with our sassy waiter’s recommendations, even though they were a bit out of our comfort zones (I was planning on bee-lining for the tuna melt). 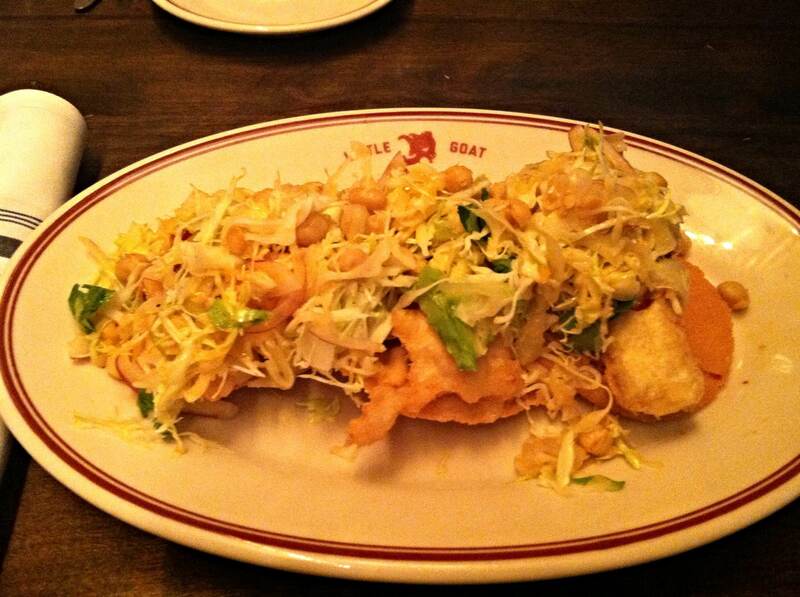 Three tostadas topped with crisp whitefish, shallot aioli, chickpea and onion salad, and a harissa vinaigrette. It was really good! 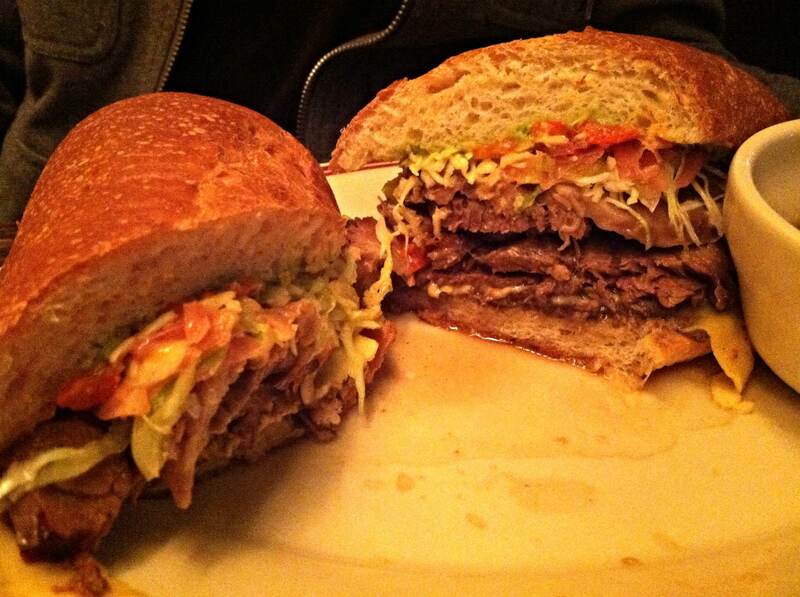 The “Los Drowned” sandwich: braised beef, avocado, butterkase cheese, pickled peppers and onions, and spicy mayo. 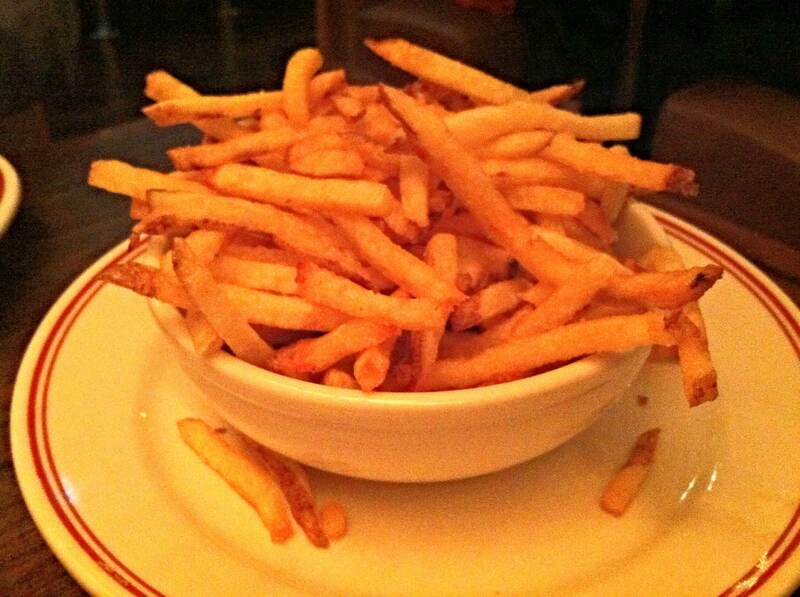 The highlight of the meal, however, was the french fries!!! These. were. incredible. They’re called “smoked fries” and for good reason: they tasted like the lovechild of french fries and bbq potato chips. They were like “open-mouth-tongue-falling-out-gotta-roll-it-back-in-before-i-drool-all-over-the-table” good. My stomach was mad at me for the rest of the night for forcing so many types of food into my body at once but I didn’t even care. It was a meal to die for. Next time I go (which will be soon), I plan on either ordering breakfast (Croque monsieur omelet, I’m coming for you) or picking from a bunch of their sides. They have mac and cheese, buttered dinner rolls that I could smell from across the restaurant, and I really have to have the hot crab dip. The best thing about this place is I feel like not only could I go back, I have to go back just to try a dozen other things. I’m already planning my next trip. And who knows…maybe one day I’ll even be grown up enough to make it to Girl and the Goat. 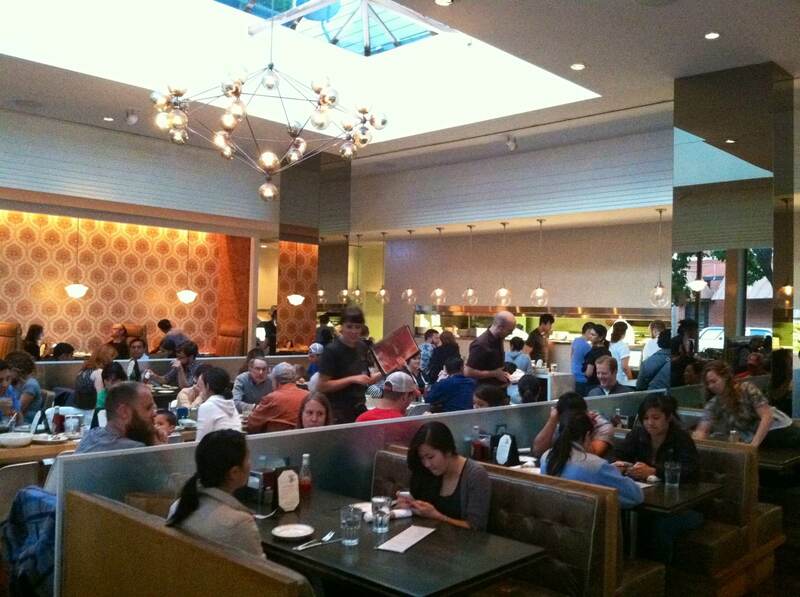 If the little sister restaurant is this good, I can’t imagine how great the other one is! ← Big Ten 10K Recap!